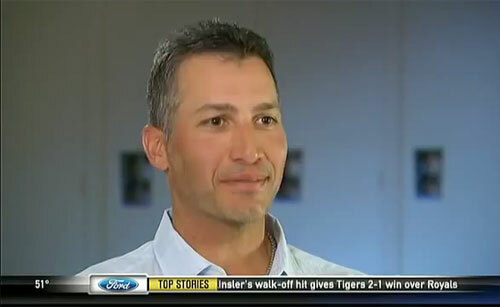 Photo shows former Yankees pitcher, Andy Pettitte, during an April 2014 interview. Tickets are $150 per person, $250 per couple and $1,000 for a table of eight. More information about “Dining with the Stars” can be found at www.concordia.edu/diningwiththestars. A live and silent auction will take place during the event and all proceeds will benefit the Tornado Baseball team. During the Yankees’ season-opening series in Houston, former Yankees pitcher Andy Pettitte sat down with Meredith Marakovits to share memories of Derek Jeter and dwell on The Captain’s pending retirement. Andy Pettitte is a MLB pitcher who has played 17 seasons primarily for the New York Yankees. He also played for the Houston Astros from 2004-2006. He won five World Series championships with the Yankees and was a three-time All-Star. He ranks as MLB’s all-time postseason wins leader with 19. He is the only major league pitcher who played at least 18 seasons without having a losing record in any season.